It seems that with every passing year, the holidays creep up even quicker than the year before. Between long hours at the office, the holiday activities with family, and the unexpected obligations in between, taking time to think through gift ideas for friends and family can rapidly make its way to the bottom of the to-do list! The team members here at T&H are no exception to being among those that get caught up in the hustle and bustle of the holiday season. Since we understand the last minute panic that can commence when searching for the perfect holiday gift, we have compiled a list of simple personalized gift ideas to help alleviate some of that holiday shopping anxiety. For those whom have already perused our website, you know that we have a variety of options for people of different passions! From cooking aficionados, to pet lovers, parents overjoyed with the birth of their child, and more– T&H has you covered. Whether it’s to stuff a stocking, or use for a company grab bag, T&H offers a number of options for family and friends this season! If you have a chef in your life, you know how messy aprons can quickly become from all of the constant action in the kitchen. 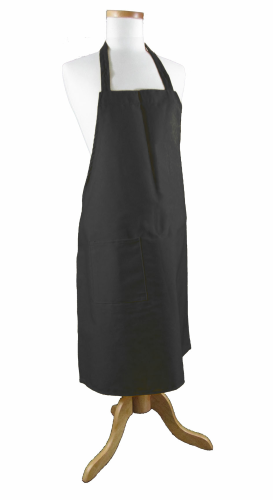 Surprise your chef with a clean, custom embroidered apron from T&H! Look up a funny cooking phrase, or create a monogrammed apron with the chef’s initials! With a variety of fonts to choose from, you can give your design a true sense of character, no matter what kind of design you create. 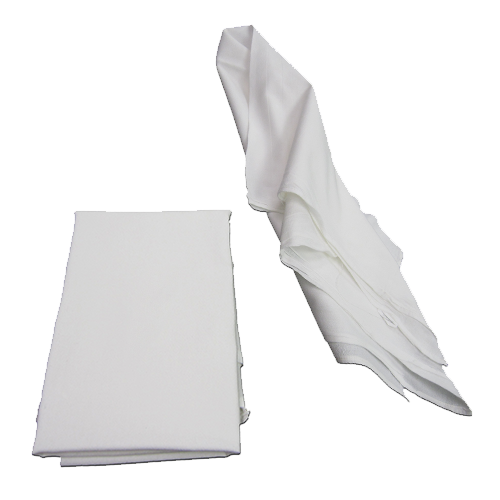 Aside from the customization aspects of this holiday gift option, your loved one will cook in comfort with the 100% Spun Polyester material that the apron consists of. Our aprons provide the flexibility for personalization, while still remaining durable enough to take on all kinds of cooking endeavors. Are you looking for unique baby gifts? 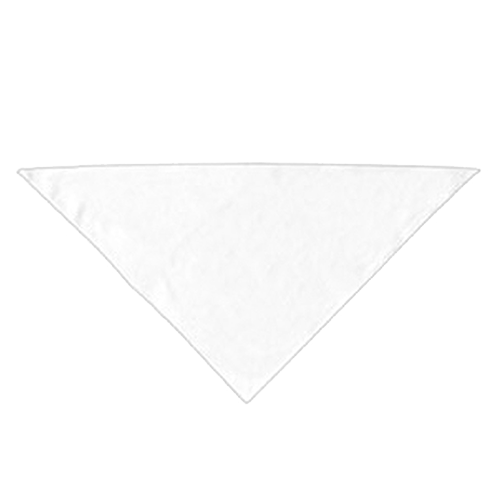 Customizing one of our baby bibs could be the solution! 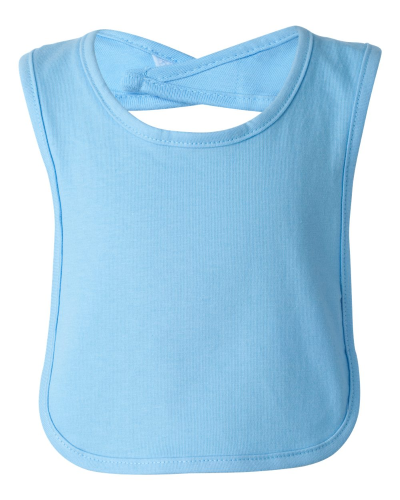 Sure, anyone can give a parent any regular ol’ bib, but when you personalize it using our Design Store, it really is one-of-a-kind! 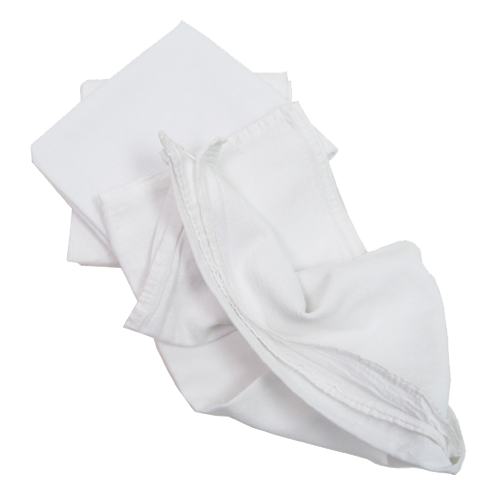 Choose from either our classic solid color Velcro bib, or the terry-snap bib-both excellent for embroidering your own design! Bibs aren’t the only great gift idea we can provide for the little one(s) in your life! 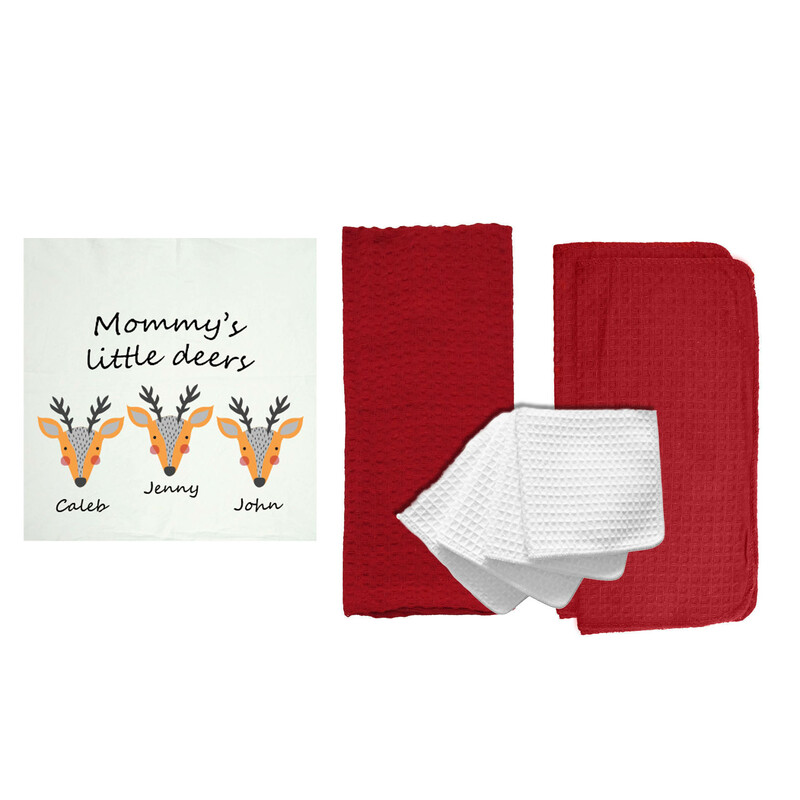 We have tons of other options that make great personalized gifts for baby! 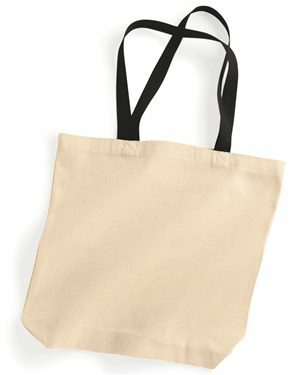 Can you ask for something more versatile than a tote bag? They can be used as either a fashionable accessory, or a lightweight grocery bag and have plenty of other uses in between! 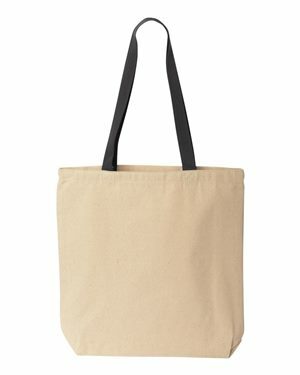 When you choose to customize one of our Home Basics Tote Bags in either white or natural, you’re really getting a steal of a deal! 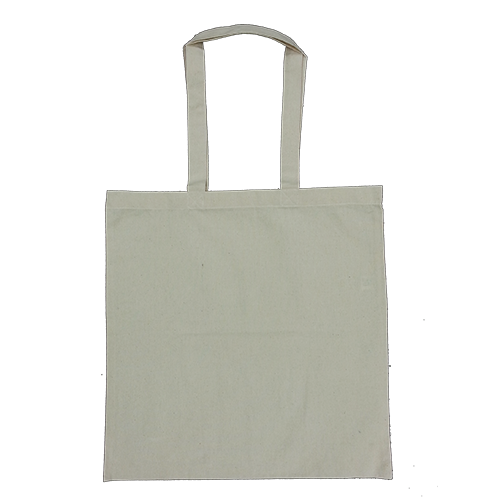 Not only do these totes come at a super low price, but they are the perfect canvas for creating your own design! Use our Design Store clip art to create a quick and easy design, or upload your own creation for an even more personal touch! 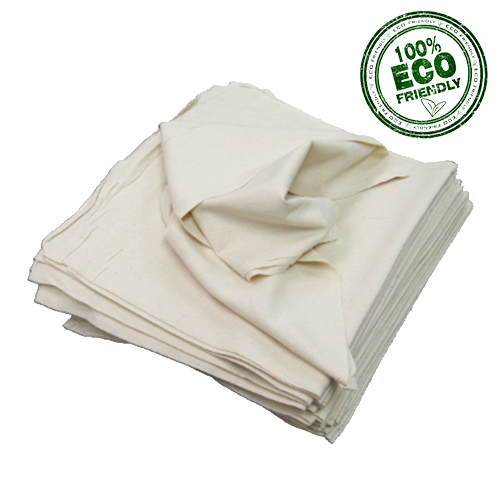 Both printing and embroidery produce excellent results on the 100% cotton canvas fabric they’re made of. I’m speaking from experience when I say that there are fewer things more frustrating than your pups trekking dirt into the house after their mud wrestling session in the yard. It’s even more frustrating when you don’t have a towel on hand that you’re comfortable sacrificing for the cleanup. To avoid this frustration, I have come to rely on using towels specifically for the dogs. This way, I have towels readily available for when my pups come in with paws of a different color than they went out with. I can assure you, that any fellow dog lover would truly appreciate this kind of gift for the practicality of it alone. When you add the furry friends name to the towel, then it truly is a must-have gift. Every year my pets anxiously await the arrival of Santa Paws, just like most dogs! While it’s always great to stuff their stockings with lots of toys and bones (to be devoured minutes later), a custom designed collar could be all your pup really needs! Not only is it a great gift idea, but it is practical, as well. With the winter rapidly approaching, and warnings of the Polar Vortex’s return, having your four-legged friend wear a collar with their name and your phone number embroidered on it, could really put your mind at ease. Between potential mountains of snow, and muggy weather, having your pup prance around in a bright colored collar will definitely help with keeping your eye on them outside! 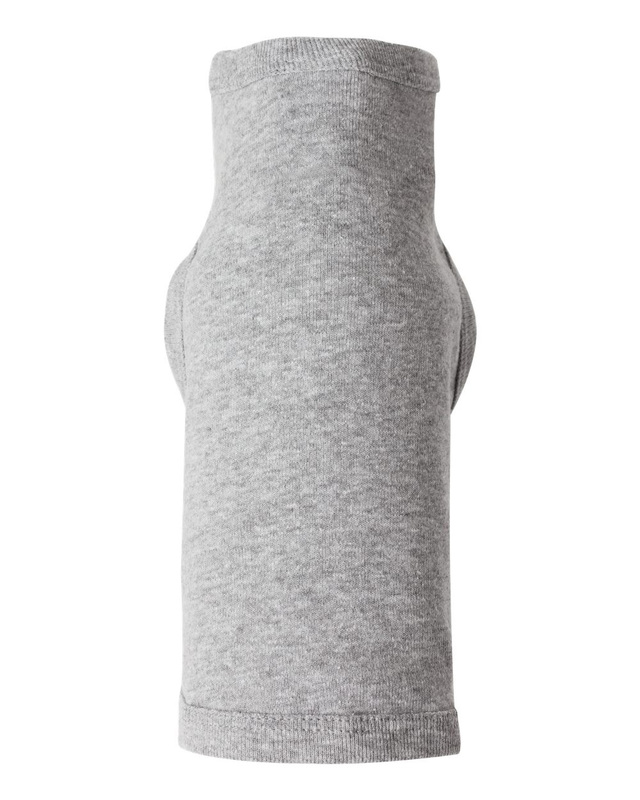 You can even spice up the collar with cute clip art options offered in our Design Store! 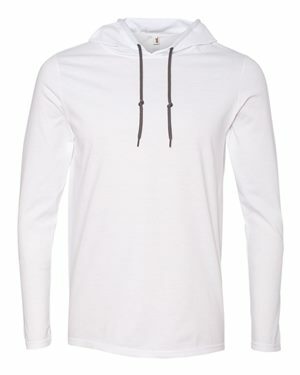 Between the eight colors to choose from, the practicality of the collar, and the design options to choose from, this really is a must-have gift this season! 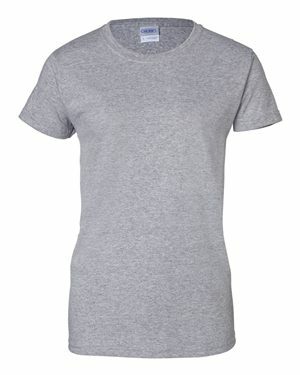 A customized tee can really serve as a gift for so many occasions. My personal fave, was when my brother lost a bet and had to wear a “My Sister is the Best” shirt around for a day. Whether you want to make a shirt for a gag gift, or put some serious thought into an intricate design, a customized t-shirt can be a great last minute gift idea! You see them being given out and waved around in stadiums all over the country, and now they can be a part of a giveaway of your own! Our velour towels (AKA “promo towels”) can be the key to putting a smile on any sports lovers’ face, or are perfect for company gifts! 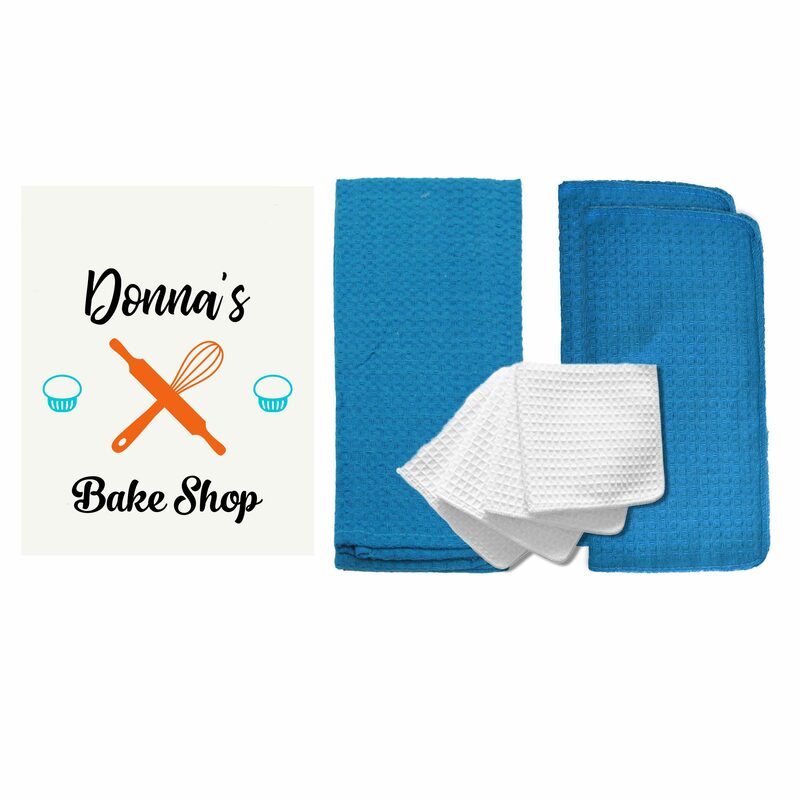 Whether you create a towel for your family members to support your sons’ high school football team, or want to embroider your company’s logo onto the bottom, velour towels make fast and easy gifts this holiday season! 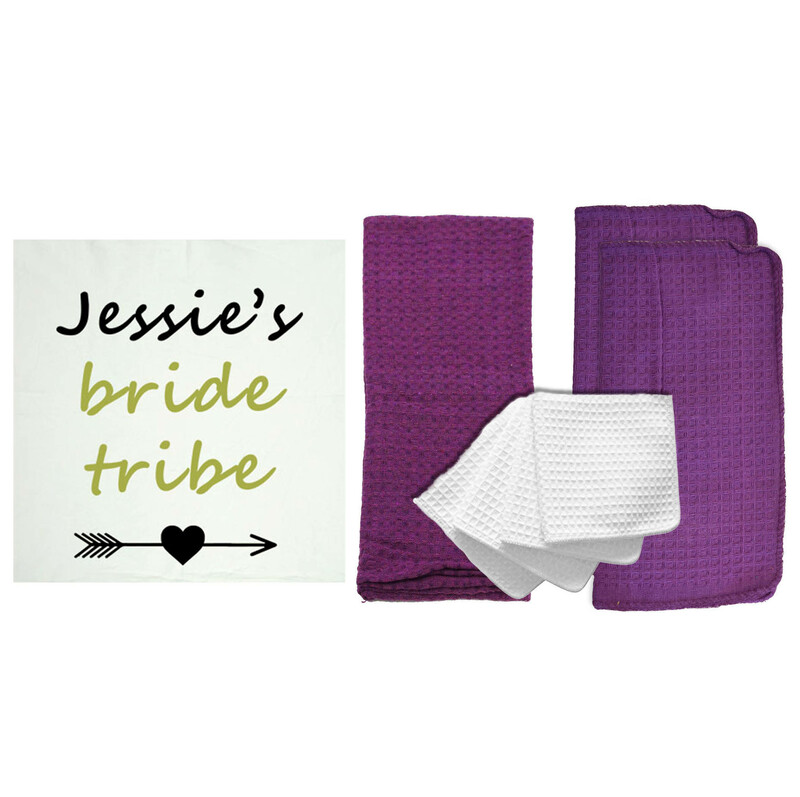 With numerous sizes to choose from, you have the flexibility to create a design that fits perfectly in proportion with the towel! What’s better to a little kid than a shirt that is uniquely their own? 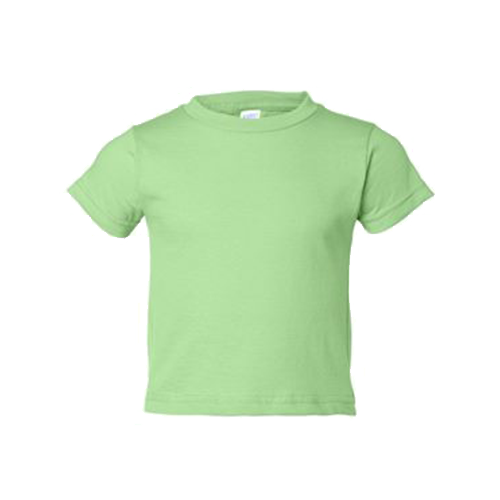 This holiday season, consider creating a custom t-shirt for the terrific toddler in your life! Use T&H’s crown clip art to create a “Princess” tee, or upload a favorite photo of them to proudly show off around their friends. 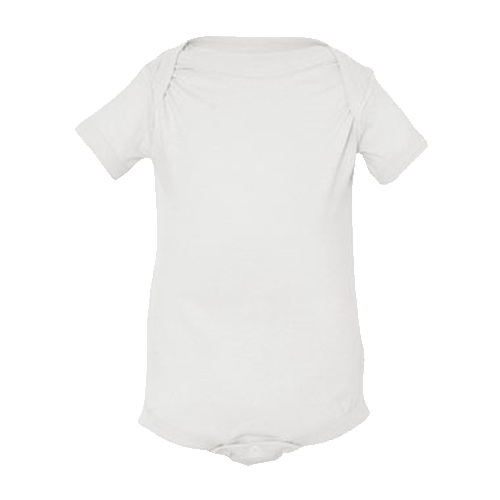 Not only are these Bella Toddler tees great for customizing, but they provide extreme comfort for your child too! T&H prides ourselves on not offering products to our customers, that we wouldn’t offer to our own children, so you know you’re getting a quality product! 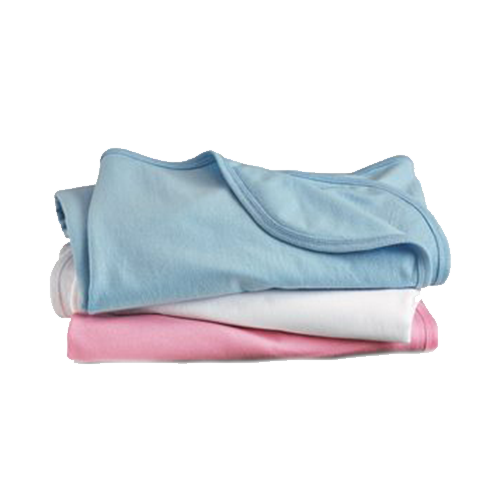 This tee comes in five different colors, which provides an option for a personality of any type of toddler! 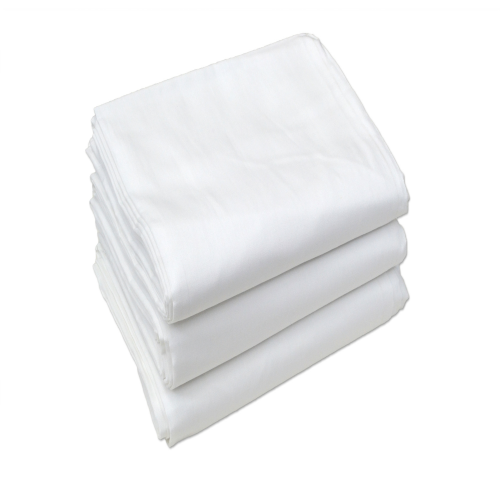 You can customize them in small quantities, or for your entire branch in your company. 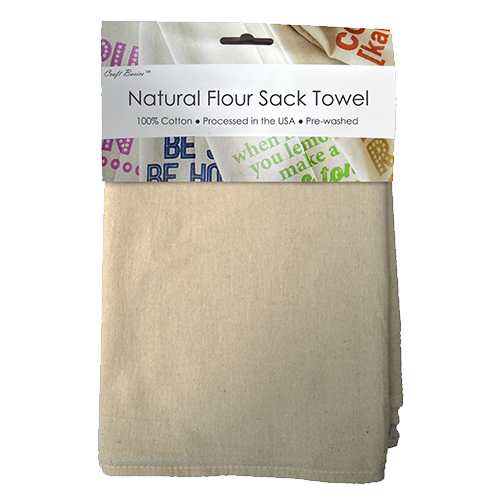 Flour sack towels make the perfect gift due to their inexpensive cost, and unique concept. 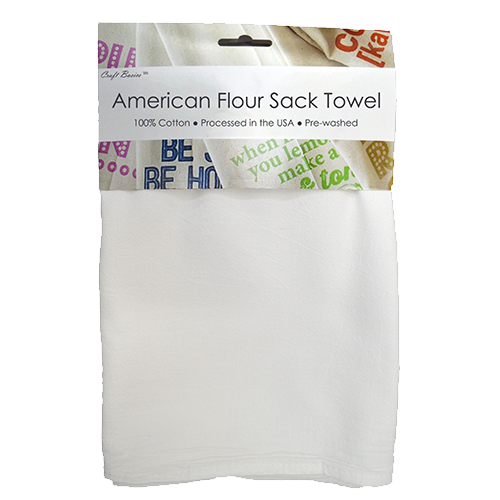 Personalizing flour sack towels is a fairly new concept, so giving them as a gift this holiday season will surely be something the receiver has never gotten before! Another reason this gift is sure to be a hit? 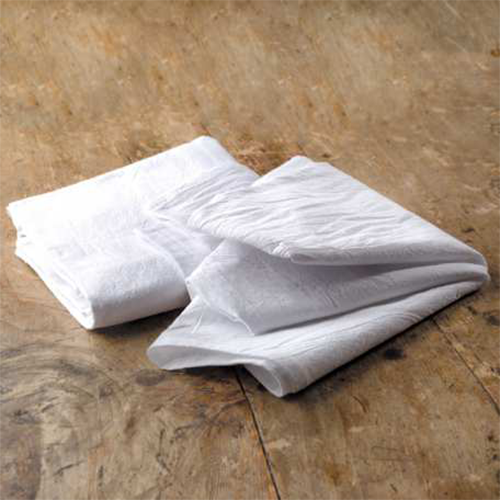 There really is no wrong way to use a flour sack towel! 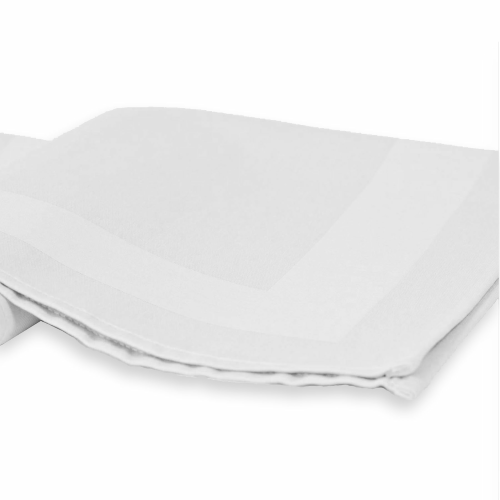 Whether your recipient wants to use it as a cleaning supply, for baking their bread, or for hanging over the oven handle in the kitchen for all guests to see! It really is the gift that keeps on giving! Finally, is it even possible to pass up a two-for-one deal? I didn’t think so! 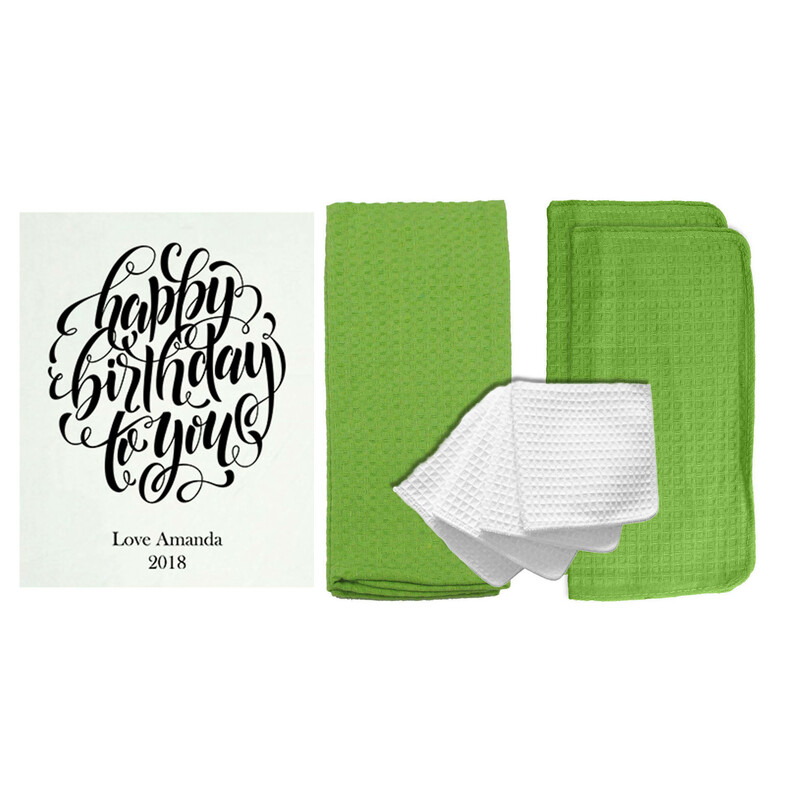 For a festive holiday design, choose our Green Gemstone dish cloth and embroider your favorite holiday saying! Give it even more holiday cheer by using one of our holiday clip art options! If you’re trying to give a gift to be used all year around, consider using our bright, vibrant blue or yellow option to design upon! 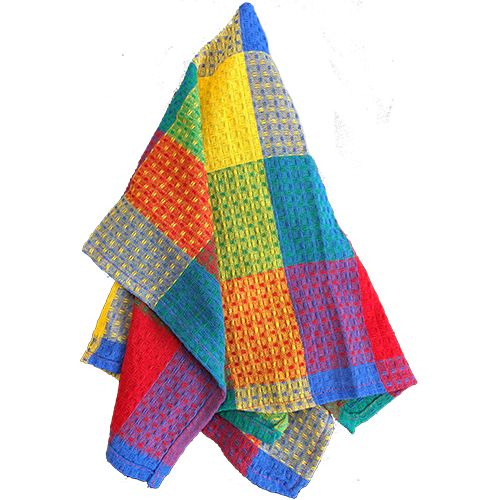 These towels are unbeatable in the kitchen, as they are made of 100% cotton and extremely absorbent! 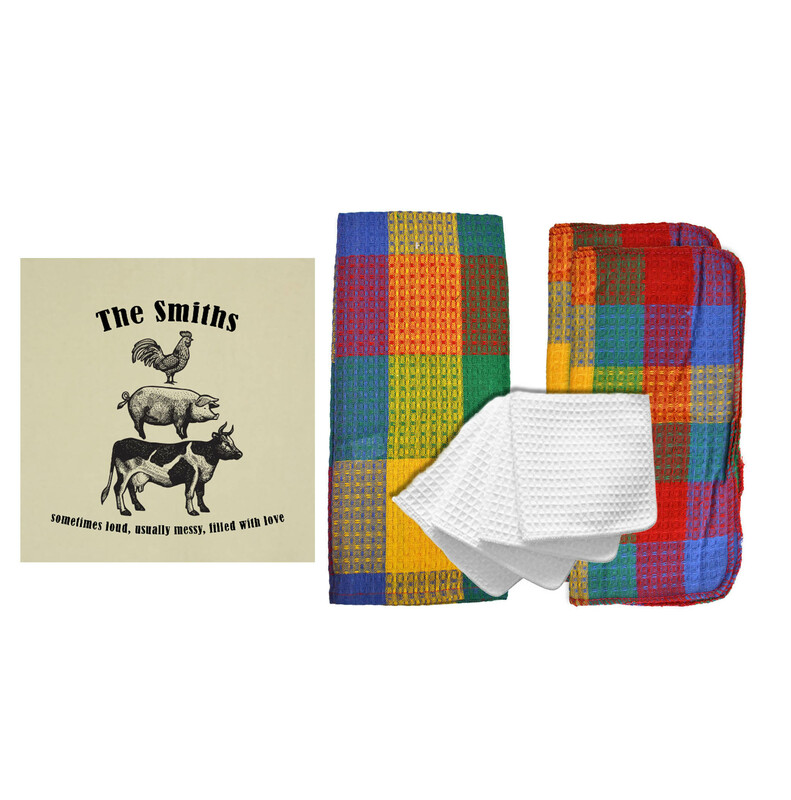 Sure, you can buy 100% cotton towels in a store, but customizing them will take them from “ordinary” dish towel, to an “I can’t wait to show this off” kind of towel. So there you have it- our holiday gift giving guide! T&H has tons more to offer, so it will be impossible to limit your shopping experience to just these ten suggestions! These gifts are also available all year long, so even when the holidays come and go, T&H will still be here to supply the gift for any occasion!